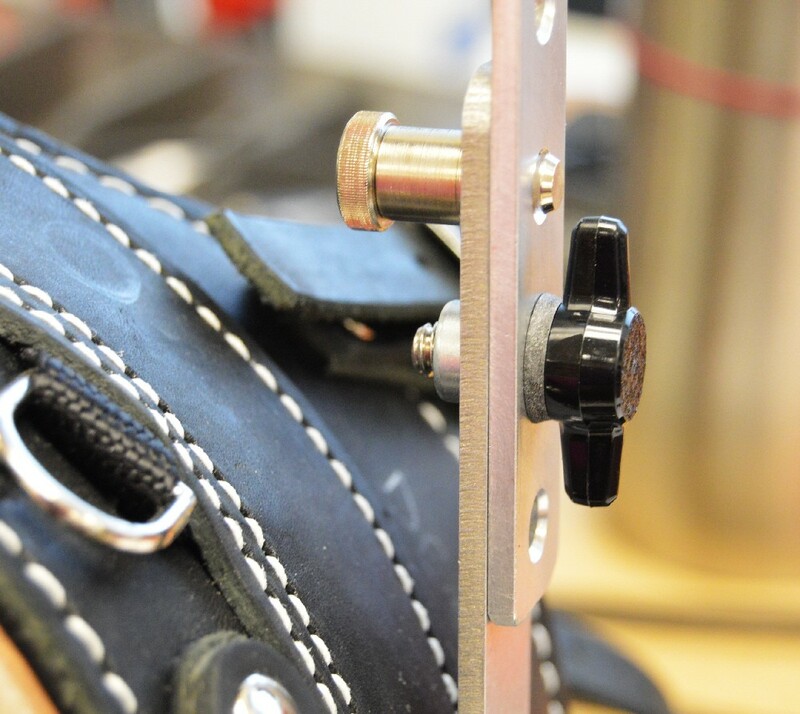 Replacement bolts for the Mobility Support Harness; the bolts hold the handle on the harness. 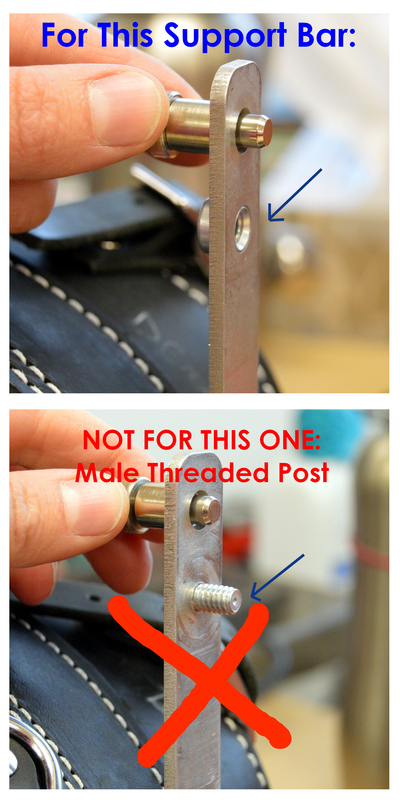 This is the “new style” that screws into the female nuts on your harness support bars for harnesses made AFTER December 2015. Choose the set of hardware you prefer: we will add Teflon plumbers tape to each bolt for you so it stays snug. 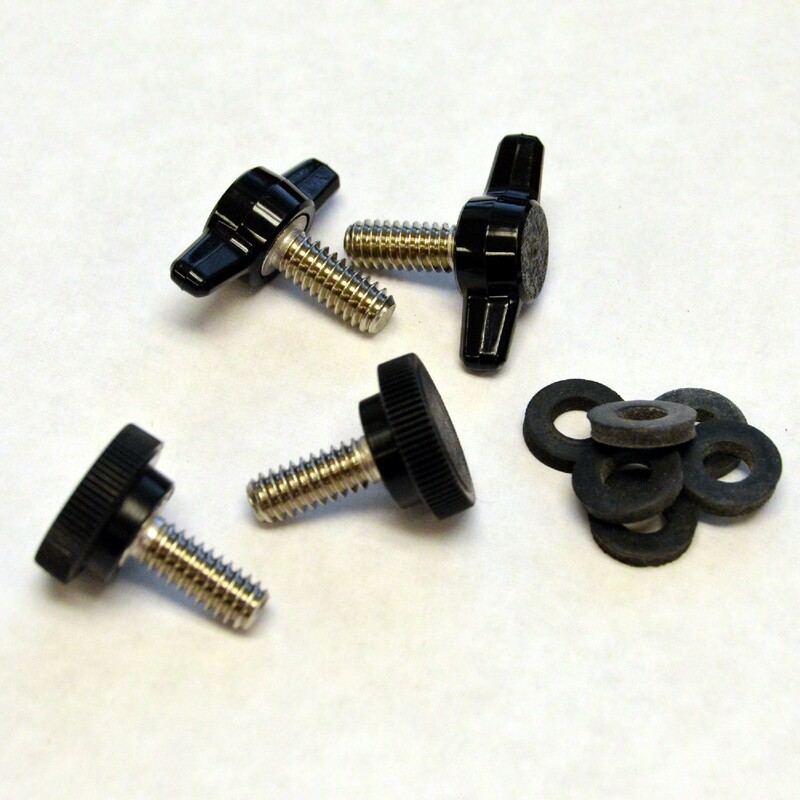 Complete set: includes a pair of round cap bolts, a pair of wing cap bolts, and 6 rubber washers. Just like the kit that came with your harness. 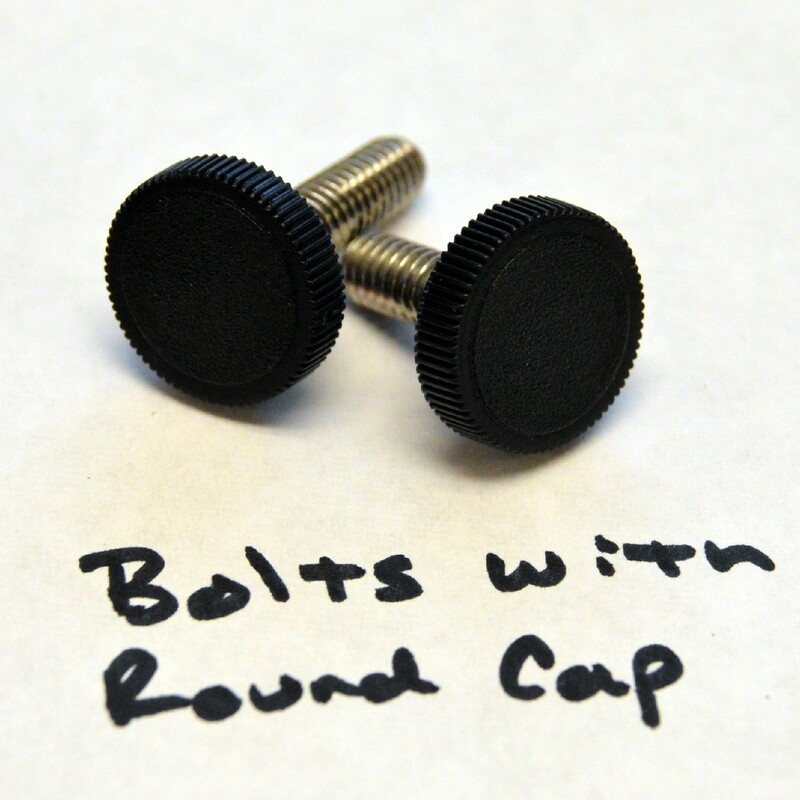 Round Caps: a pair plus washers. 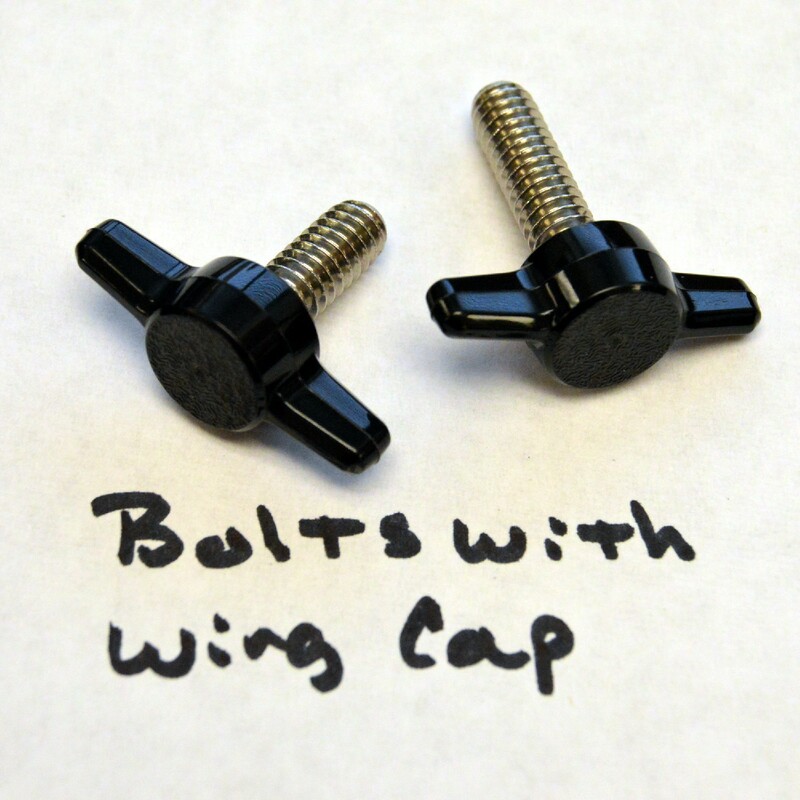 Wing Caps: a pair plus washers. Select size based on the thickness of the support bar. 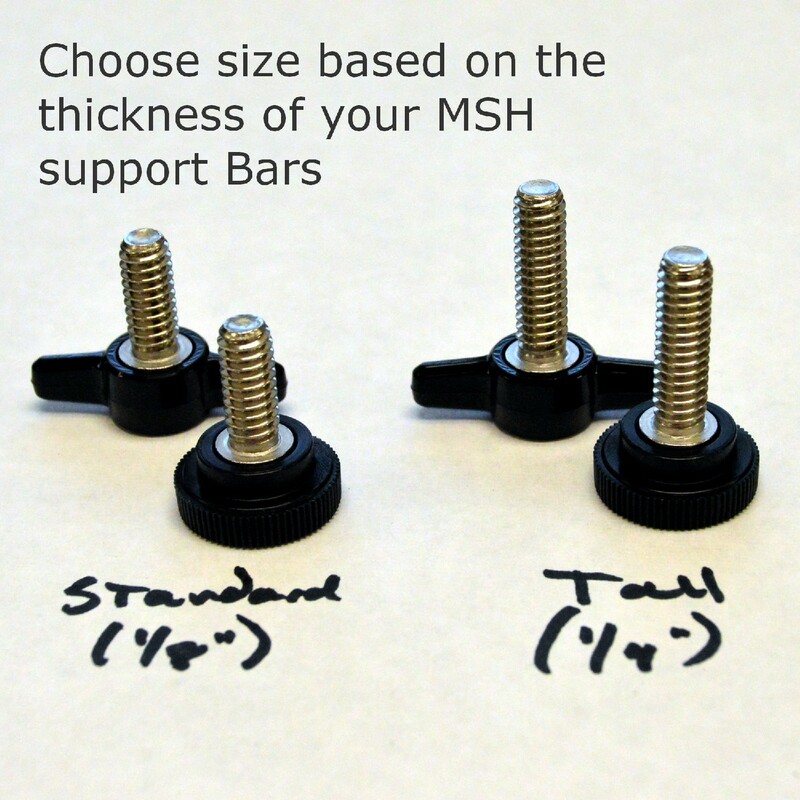 Standard support bars use the standard size bolts (for 1/8″ thick support bars). TALL handles need the longer bolts to fit the heavy weight support bars (for 1/4″ thick support bars). See photos for details. Always loosen the bolts before folding the handle. Failure to do so may ratchet the right side too tight and cause it to lock up. Always tighten the bolts after raising the handle. Not too tight, just a little snug. Place the rubber washer on the bolt before screwing into the harness handle. Keep a spare bolt handy at all times. If the bolts want to loosen too much, apply some Teflon plumbers tape to the threads of the bolts. Consult your harness Owner’s Manual for more info.